Montana Test.com - Results for: Bushnell Elite Series Riflescope 8-32x40 Matte,Multi-X Reticle! 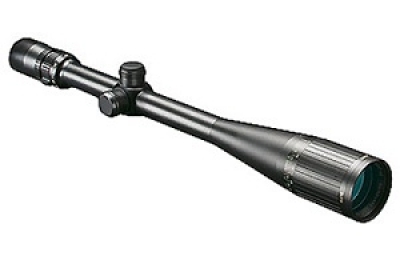 Bushnell Elite Series Riflescope 8-32x40 Matte,Multi-X Reticle! With the world’s brightest riflescope, featuring RainGuard® HD, you’re fully equipped to strike with lethal precision in the dimmest, wettest, most unforgiving circumstances. Bushnell's unprecedented low-light performance is taken to the next level with the addition of our Ultra Wide Band Coating. Its fully multi-coated optics deliver an amazing 95% light transmission across 300% more of the visual light spectrum than before. And the lenses are treated with the only patented, permanent assurance that you can make the shot in any weather – RainGuard HD. With a one-piece tube recoil tested with 10,000 rounds of 375 H&H and 100% waterproof/argon purged, you can expect nothing less than unfailing reliability. Remember, the highlight of the hunt will most often be in low-light. Prepare accordingly.